Democratic Sen. Al Franken has issued a statement about the latest allegations that he groped women while posing for photographs, saying he has taken "thousands of photographs" and is a "warm person," but acknowledging he "crossed a line for some women." He says he is sorry he made "some women feel badly." 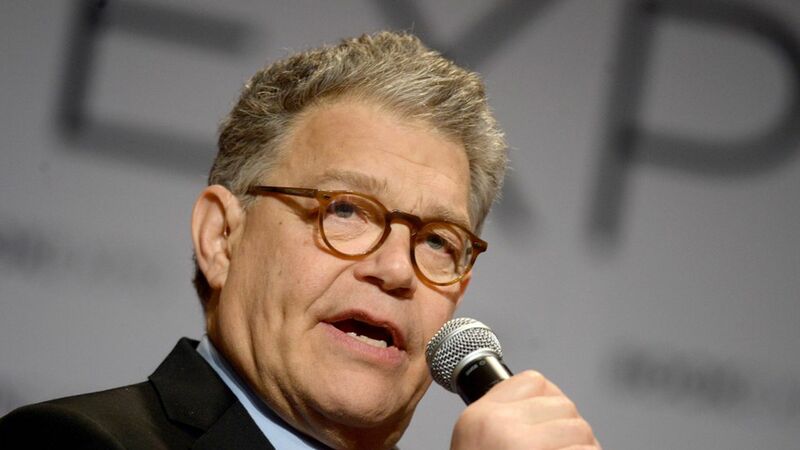 Why it matters: Franken is in survival mode after four allegations of unwanted contact, and facing an Ethics investigation and some calls to resign. He's walking a tightrope here, not denying the individual accusations while portraying them as rare missteps resulting from his "warm" personality, rather than a pattern of creepy behavior. He says he plans to win back the "trust" of his constituents. "I've met tens of thousands of people and taken thousands of photographs, often in crowded and chaotic situations. I'm a warm person; I hug people. I've learned from recent stories that in some of those encounters, I crossed a line for some women — and I know that any number is too many. Some women have found my greetings or embraces for a hug or photo inappropriate, and I respect their feelings about that. "I've thought a lot in recent days about how that could happen, and recognize that I need to be much more careful and sensitive in these situations. I feel terribly that I've made some women feel badly and for that I am so sorry, and I want to make sure that never happens again. And let me say again to Minnesotans that I'm sorry for putting them through this and I'm committed to regaining their trust."